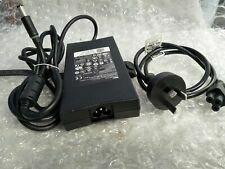 GENUINE DELL 19.5V 4.62A 90W Power AC Adapter. Fits most Dell Models. Dell Inspiron. Power cable cord included. Dell PN: 0285K, 00285K; 70VTC; YTFJC; 0J2X9. - Dell P/N: 0285K, 00285K. -Barrel Tip Size: 4.5mm. - HA45NM140 Family. -Latitude 13 (7350), 13 (3379). 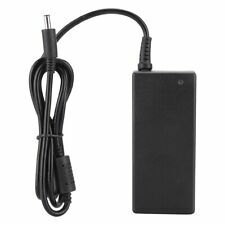 Genuine DELL Slim 65W AC Adapter Charger & Power Cable. Condition is Used. Dispatched with Royal Mail 1st Class. 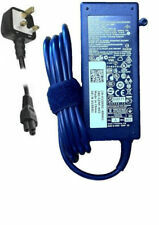 Dell 19.5V 6.7A 130W AC/DC Adapter. 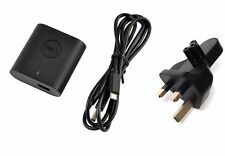 • Dell 19.5V 6.7A 130W AC/DC Adapter. Original Dell product. • Manufacturer: Dell. • Dell Latitude. • Dell Precision. • Dell Studio. • Dell Vostro. 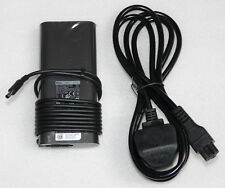 New 130W Adaptor Genuine Dell DA130PE-00 Laptop Ac Power Cord Battery Charger. Condition is Used. Dispatched with Royal Mail 1st Class. 6TTY6 / 06TTY6 / RN7NW / 0RN7NW / V363H / 0 V363H / DA130PM130. Products Feature. 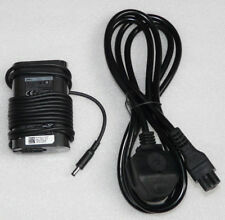 Genuine DELL 90w PA-10 Laptop Charger. Condition is New. Dispatched with Royal Mail 1st Class. Condition is New. these are genuine Dell ac adapters not cheap imitations. other compatible part numbers VJCH5 0VJCH5 MTMPN WRHK. Vostro 2510 3700 3750. Latitude E4200 E4300 E4310, E5400 E5410 E5430 E5520 E5530 E6220 E6230 E6320 E6330 E6400 E6400 ATG E6410 E6410 ATG E6430 E6430 ATG E6430S E6500 E6510 E6530 XT3. Condition is Used (excellent condition). Latitude 3330. Latitude E6540. Latitude E7240. Latitude E7440. Latitude 3540. Latitude 3440. Latitude E6440. VOSTRO 15 (3558), 14 (3458), 15 (3559), 14 (5468), 15 (3568), 14 (3468). DELL PN: 0285K, 00285K; 70VTC; YTFJC; 0J2X9. - DELL P/N: 0285K, 00285K. THIS AC ADAPTER IS IN REFURBISHED, WORKING CONDITION. Dell Part Number: 09T215. Its in very good condition. NEW GENUINE DELL XPS 15 9570 9560 PRECISION M3800 130W AC ADAPTER CHARGER 6TTY6. Condition is New. Dispatched with Royal Mail 1st Class. Dell P/Ns : 10XR4, 450-ABPG. These AC Adapters are Genuine Original DELL. Venue 10 (5050). Venue 10 (7040). Venue 7 (3730). Venue 7 (3740). Venue 8 (3830). Venue 8 (3840). Dell Inspiron:1564 15r 9400 E1750 N4010 N5010 N5110 N7010. Dell Inspiron:E1705,E1405,E1505,1150,1420,1501,1520,1521,1526,1720,1721,6000,6400. Dell Latitude:100L,131L,D400,D410,D420,D430,D500,D510,D520,D531,D600,D610,D620,D630. Inspiron 1501. Inspiron 11z (1110). Inspiron 13R (N3010). Inspiron 13z (5323). Inspiron 14 (1440). Inspiron 14 (1464). Inspiron 1420. Inspiron 14R (N4010). PART NUMBER: 09834T. ORIGINAL DELL ADAPTOR ADP-50SB. MODEL: ZVC70NS18.5P28. GENUINE ONLY! Manufacturer: Dell. Power lead is not included. Precision M40. Latitude X200. Latitude V740. Latitude V710. These AC Adapters are Genuine Original DELL. Dell P/Ns : JCF3V, 6C3W2, V3KCV, 5GT3K, C7VJC, 450-19041. Goods are sourced from Dell Outlet or other channels. DELL PA-5M10 J408P DA150PM100-00, ADP-150RB B. Dell Alienware M15x, M14x, P08G series. Dell Inspiron 5150, 5160, 9100, 9200. Output:1500w 19.5V 7.7a 7.4mm 5.0mm 1PIN. 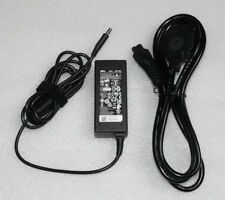 Replace Part Number Power cable cord included. Precision M4700 M6400 M6500 M6600 M6700 M6800 and more. 3 pin UK power cable not included. Good working condition. 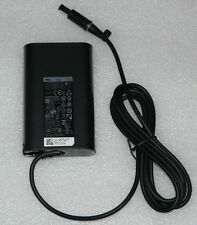 Genuine Dell OEM PA-6 Family ADP-70EB 9364U AC adapter laptop charger . Condition is Manufacturer refurbished. Dispatched with Royal Mail 1st Class. Output: 19V 2.64A. Genuine Dell Part. Communication is king! Applicable to exports from the UK to another EU country. We dispatch worldwide. We're rated 5/5 for service! High quality products at amazing prices. Compatible with notebooks such as for DELL Inspiron 15 5000 7000 Series. For Dell Inspiron 11 3000 Series (3147). For Dell Inspiron 11 3000 Series (3148). For Dell Inspiron 17 5755 5758 5759 Series. Made of high quality components and circuit boards.